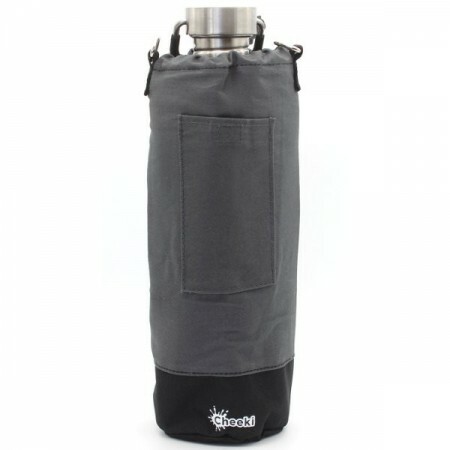 An insulated pouch for hot and cold drinks in your Cheeki water bottle. 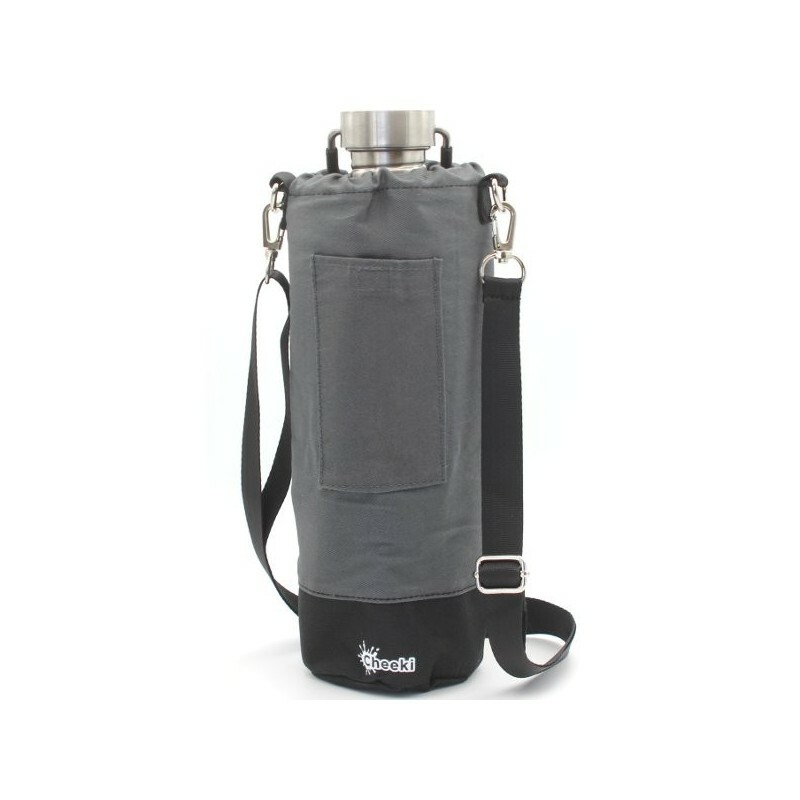 Also makes carrying your bottle easier, with a removable strap, toggle closure, and a credit card pocket for those long hikes and outdoor trips. 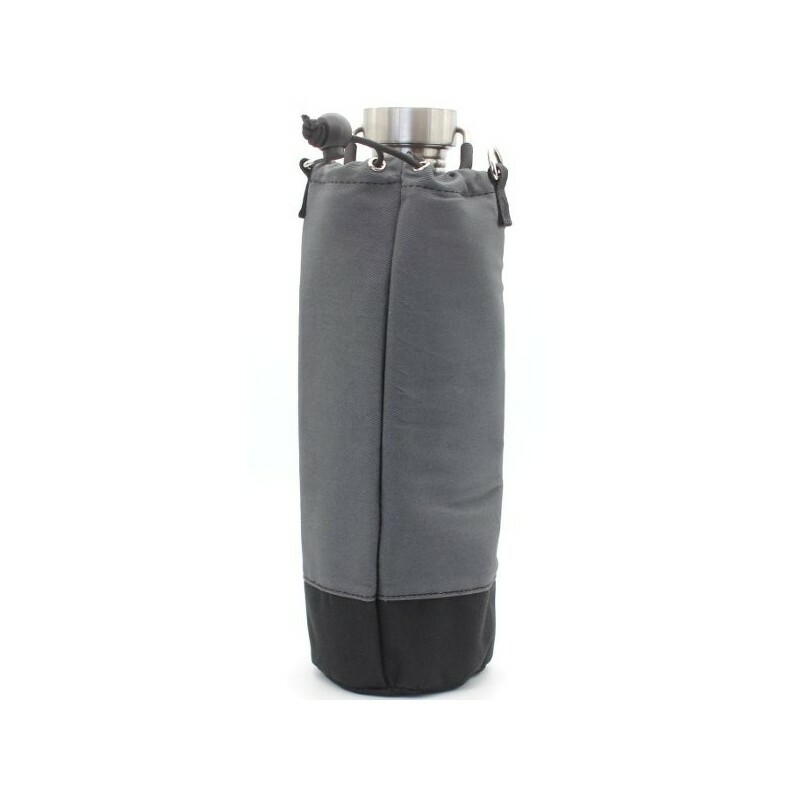 One large pouch. Charcoal colour. Built in hot and cold insulation. 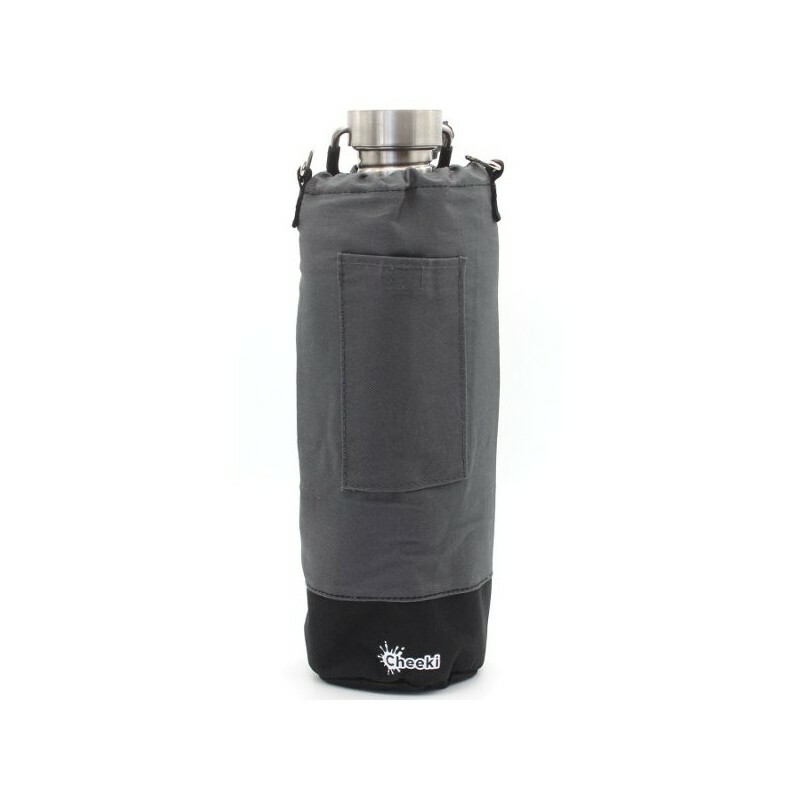 Adjustable & removable carry strap. Velcro secured credit card pocket. Cotton/ Polyester material. Large size. Fits all Cheeki 1L bottles. Browse our full range of Cheeki products.